US First Lady Melania Trump's Slovenian parents have become American citizens after taking the citizenship oath during a ceremony here using a programme her husband Donald Trump has repeatedly denounced and termed as "chain migration". 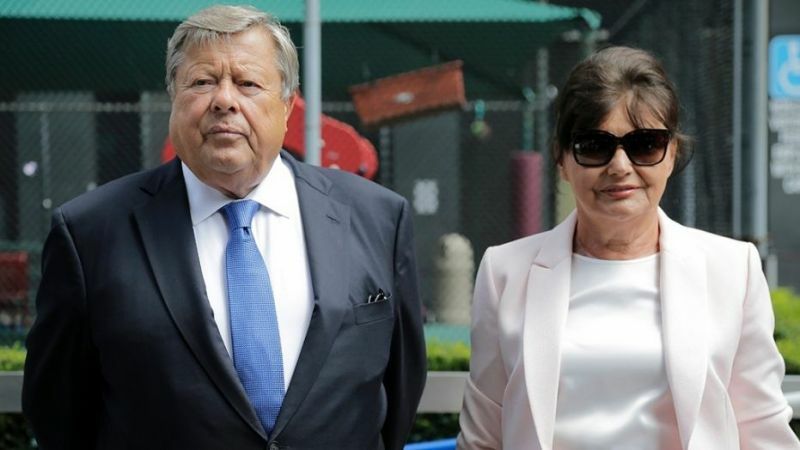 Melania's parents, Viktor and Amalija Knavs, were sworn in as US citizens at a federal immigration court in New York City yesterday. The pair had been living in the US on green cards sponsored by their daughter Melania. "Once they had the green card, they then applied for citizenship when they were eligible," the couple's lawyer Michael Wildes was quoted as saying by 'The New York Times' Asked if the Knavses had obtained citizenship through "chain migration", Wildes, said, "I suppose". "It's a dirty a dirtier word," he said, adding that "it stands for a bedrock of our immigration process when it comes to family reunification." Trump has vehemently opposed the family-based or what he called "chain immigration" in the past. The programme allows adult American citizens obtain citizenship for their relatives. "Chain migration must end now! Some people come in, and they bring their whole family with them, who can be truly evil. Not Acceptable!" Trump said ina tweet in November. He has often criticised the family-based immigration system at his rallies, calling it one of the "dumbest laws on immigration in the world" which is a pathway for terrorists to enter the country. 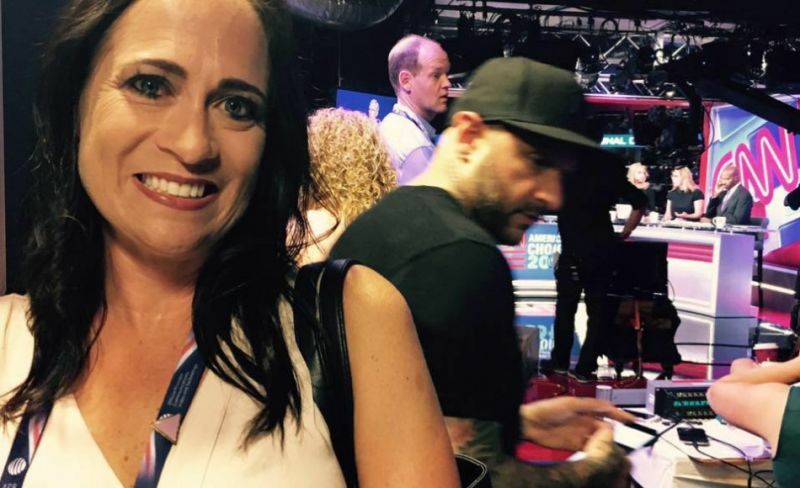 According to the report, Melania's communications director Stephanie Grisham said since the Knavses are not part of the administration, she is not commenting on them. Standing alongside the Knavses, their lawyer said the couple had "travailed a wonderful journey, like most have, millions have in getting citizenship and waiting the requisite period of time". Wildes said their application, the process, the interviews were no different than anybody's else's. "These doors that are in America remain hinged open to beautiful people as they have today. They would appreciate their privacy and we just thank everybody for their attention to this very important dialogue that we are having on immigration. This is an example of it going right," he said. Born as Melanija, the First Lady changed her name to Melania Knauss when she started modelling. According to news reports, Melania came to the US in 2001 on a so-called Einstein visa for "individuals of extraordinary ability" as a model. She became a US citizen in 2006. The Knavses came and went from the ceremony at a Manhattan federal building flanked by Homeland Security police. Melania was not present for the ceremony as she was in Bedminster, New Jersey, at the Trump National Golf Club, where the President is currently staying. The Knavses frequently travel with the Trumps and split their time between New York, Palm Beach and Washington, where they stay in the White House, the report said. It is unclear as to when or how the couple received green cards. Under immigration statutes, the Knavses would have needed to have their green cards for at least five years in order to apply for citizenship, along with fulfilling character, residency and civic knowledge requirements, it said. According to the US Citizenship and Immigration Services, it takes about 1-2 years to process an application for naturalization in New York City. The report quoted their lawyer as saying that the couple had met the five-year requirement, but added, "I can't give further comment". Usually naturalization ceremonies at the Jacob J Javits Federal Building in the city are large events in which several immigrants are sworn in as citizens after reciting an oath and the Pledge of Allegiance. But the Knavses' lawyer said their ceremony was kept private for "security reasons". Presiding over the ceremony was New York district director of the US Citizenship and Immigration Services Thomas Cioppa. The Knavses raised Melania in the rural industrial town of Sevnica while Slovenia was under the Communist rule. Viktor, 74, was a car dealer while Amalija, 73, worked in a textile factory.